This paper summarises the current status of the use of vascular endothelial growth factor (VEGF) blocking agents in retinal vein occlusion. There have been no randomised controlled trials comparing this treatment with the current standard treatment (largely laser) so the lower grade evidence of single treatment case series and anecdotal reports are discussed. 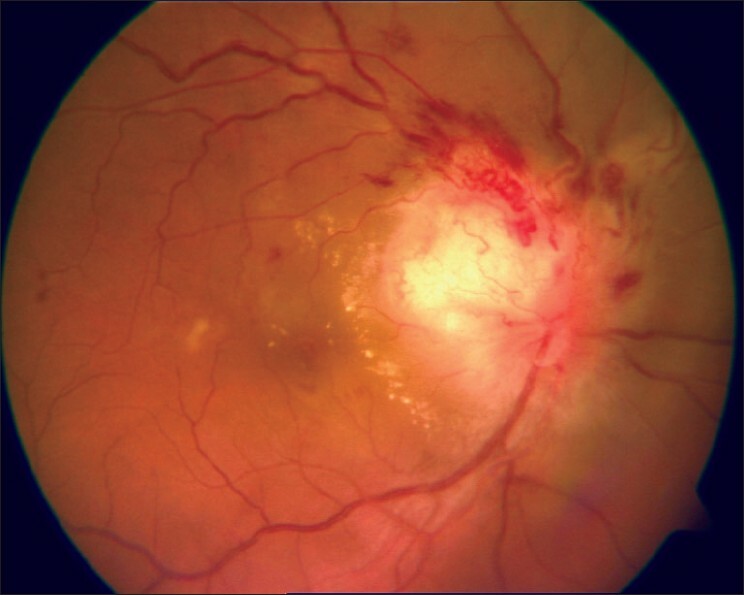 VEGF blockers are good at reducing macular oedema in the short term, do improve visual acuity in many cases, and do not seem to adversely affect the long term revascularisation that is necessary to overcome the vein occlusion. VEGF blocking agents are not used in isolation in this condition - they will remain an adjunct to systemic and other local treatments. The literature was reviewed in online searches of Embase and Ovid and the papers quoted are a representative sample of a larger body of publications. Background: Childhood Glaucoma (CG) is common in Saudi Arabia and challenging. Purpose: To compare efficacy and safety of trabeculectomy with Mitomycin-c (TMMC) and trabeculectomy with 5-Fluorouracil (T5FU) in children with CG. Materials and Methods: The charts of 35 children with CG who underwent T5FU or TMMC between January 1994 and December 2004, were retrospective reviewed. The efficacy and safety of the two procedures were compared. Results: 33 eyes of 20 children underwent T5FU and 24 eyes of 15 children underwent TMMC. There was no significant difference between the groups preoperatively, except for mean pre-operative age at the time of operation and medications. 25 (75.8%) eyes in T5FU and 18(75%) eyes in TMMC group were considered successful at mean follow up of 58.6 and 42.2 months respectively. 14 (56%) eyes in T5FU and 12 (66.7%) eyes in TMMC were on no antiglaucoma medications. 10 eyes in T5FU and 6 eyes in TMMC had previous failed procedures. No significant difference between the groups was present on last follow up, with respect to success rate ( P =1.00), follow up ( P =0.4012), medications ( P =0.3467), complications ( P =0.303)] and visual outcome ( P =0.593). 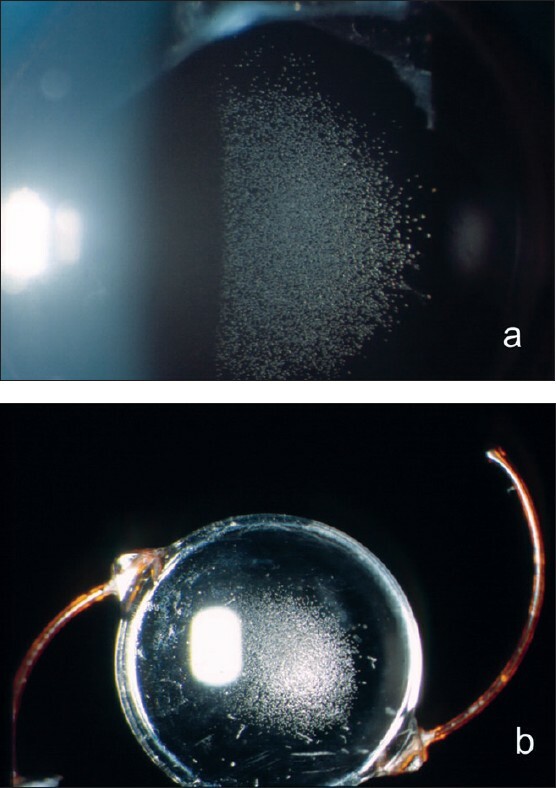 Serious complications including, hypotony, retinal detachment, and flat anterior chamber occurred after T5FU and one eye in TMMC group developed bleb-related endophthalmitis. Intraoperative (topical and injection) use of 5FU was as effective as MMC. Conclusions: 5-Fluorouracil and Mitomycin-C are equally effective as adjuncts to trabeculectomy in CG. Their use can be associated with serious complications. Further study is needed to evaluate intraoperative 5-Fluorouracil augmented trabeculectomy in CG. Background: The eye health care program, Ministry of Health of Oman conducted a pilot survey of Omani people that visited the eye health stall. It was organized on the World Health Day on 7 th April 2005 in Muscat, Oman. The survey aimed at identifying the level of knowledge of blinding eye diseases and the satisfaction among community for the eye services at government hospitals. Materials and Methods: This was a descriptive study. 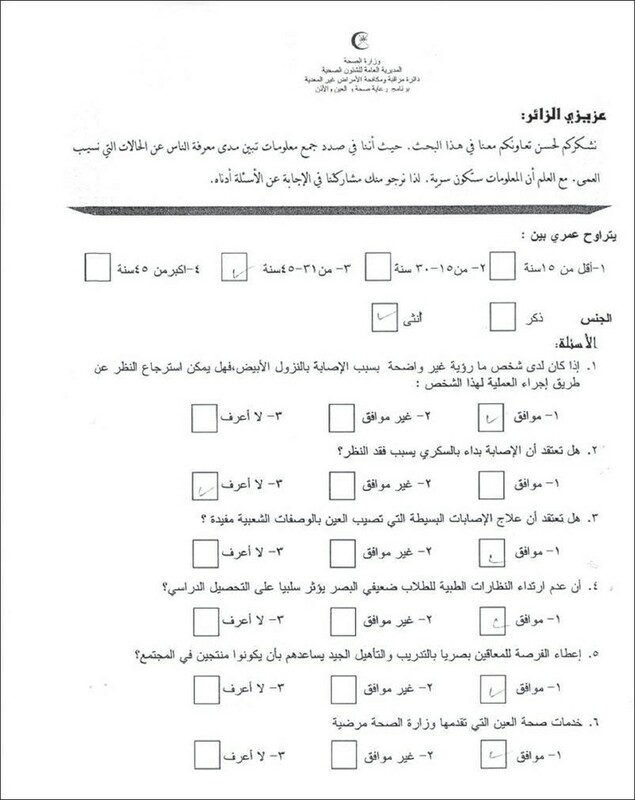 156 Omani citizens of more than 12 years of age were given a close ended questionnaire. Their self reported responses were collected. Six questions related to cataract, diabetic retinopathy, refractive error, blindness, home treatment, rehabilitation of visually impaired and perception of eye services at Ministry of Health hospitals were asked with three grades of responses to choose from. Results: The knowledge about cataract and diabetic retinopathy was found to be good in more than 70% of respondents. 35% of participants agreed for home treatment of minor eye ailments. The importance of using visual aids and the need to give special facilities for the visually impaired was positive in 85%. Two thirds of the respondents were satisfied with type of eye services. Association of knowledge and satisfaction to the gender and age group was not conclusive. Conclusions: Knowledge regarding cataract surgery and blindness due to diabetes, attitude towards use of spectacles, perceived need for visual rehabilitation and satisfaction with eye care services was positive in more than 60% of the interviewed people in this pilot study. A larger study representing Omani population is recommended. Purpose: To describe visual loss at presentation in children with pseudotumor cerebri (PTC), and discuss mechanisms of visual loss and distinguishing features of pediatric PTC. 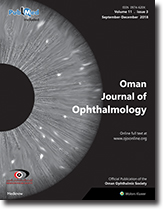 Materials and Methods: Two children with papilledema and visual complaints were referred for ophthalmic evaluation. Both patients underwent a detailed ophthalmic work-up. Results: Patient 1, an 8-year-old girl, presented with a 2-week history of headache, vomiting, and visual impairment in both eyes. The child had no previous medical history. 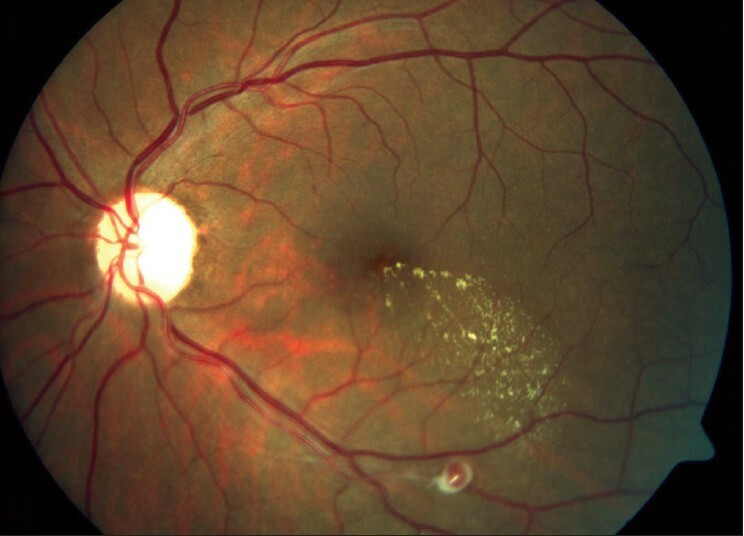 Patient 2, a 9-year-old boy, experienced sudden loss of vision in both eyes one week prior to presentation, along with severe headache and vomiting. He had undergone a renal transplantation one year back, and his current medications included cyclosporine A (CsA) and oral prednisolone. Extensive disc swelling, lipid exudation and retinal thickening in the posterior pole were observed in both patients. Lumbar puncture in both showed elevated cerebrospinal fluid pressure. Both were treated with oral acetazolamide. Patient 1 additionally received intravenous methylprednisolone followed by an oral taper. CsA was stopped in patient 2. PTC and papilledema resolved with above measures in both patients, with partial recovery of visual function. Conclusions: PTC in children may have atypical manifestations. Visual acuity may be compromised acutely due to several factors. Patients with PTC and severe visual loss at presentation mandate an aggressive management approach. Use of intravenous steroids may be considered along with acetazolamide. Despite resolution of PTC, sequelae such as optic atrophy or macular scarring may impede eventual visual recovery. Physicians following patients on CsA need to be aware of the possible neuro-ophthalmic complications of the drug. We report a 52-year-old man who underwent uncomplicated cataract operation and posterior chamber lens implantation (hydrophilic acrylic lens) in his left eye 5 years prior to presentation. Two years after surgery he developed pseudophakic retinal detachment which was successfully treated with pars plana vitrectomy and silicon oil tamponade. The silicon oil was removed one year after surgery. A year later he complained of increasing blurred vision in the left eye. Clinical examination revealed vesicular alterations located superficially on the intraocular lens (IOL), which could not be removed by perflourocarbon-perflourohexloctane lavage. As the patient complained about increasing visual impairment, the IOL was removed. The IOL was investigated by electronmicroscopy and biochemical analysis. During electron microscopy and following biochemical analysis the observed alterations were identified as calcium-phosphate particles located on the superficial aspect of the IOL. The occurrence of calcium-phosphate deposits on a posterior chamber IOL after silicon oil tamponade is a rare complication and has not been described so far. As these deposits interfere with visual acuity, removal of the lens has to be considered. A 49-year-old housewife presented with progressively worsening vision in the right eye over a period of two months. Ocular examination revealed a mass arising from the optic nerve head associated with disc edema, flame shaped hemorrhages and mild vitritis. 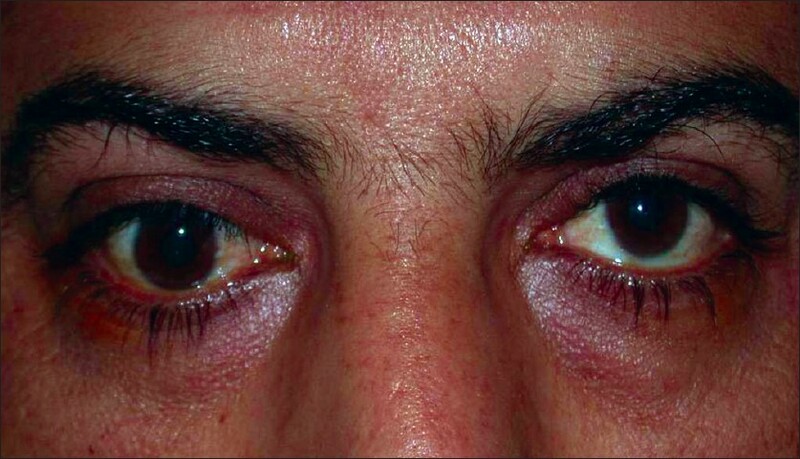 After thorough investigation and establishment of a diagnosis of optic nerve head sarcoidosis, the patient was initiated on intravenous methyl prednisolone.